ELEVATION: 4761 Ft, 4902 Ft, 4024 Ft, 4480 Ft. PARKING: This trip required a car spot. Our starting point was at the end of Little River Rd and termination point was located at 5 corners on route 3. From the parking area at the end of Little River Road cross the footbridge and begin a 1 mile bushwhack along a footpath paralleling Little River. The unmarked trail is easy to follow and navigate making one of the easiest and a very popular winter route. After 1 mile you reach Fire road 304 and the summer parking lot for the North Twin Trail. The North Twin Trail begins a very gradual ascent as it parallels Little River crossing it several times. After two miles the trail makes a sharp right turn and begins a moderately steep incline. The trail is easy to follow as it transitions from hard wood to fir trees. The trail turns a slight left and follows a northeasterly spine ridge through krumholtz to the North Twin Summit. The summit is marked with a sign and a short side trail leading to great views. Follow the North Twin Trail in a Southward direction 0.6 miles descending 300 feet into the col then rising 500 feet through mostly open woods another 0.6 miles to the 4902 foot South Twin summit. A very short distance after the South Twin Summit you reach the trail junction of the Garfield Ridge Trail and Twinway. Follow the Garfield Ridge Trail as it descends steeply over 1000 feet in 1.0 miles to Galehead Hut. 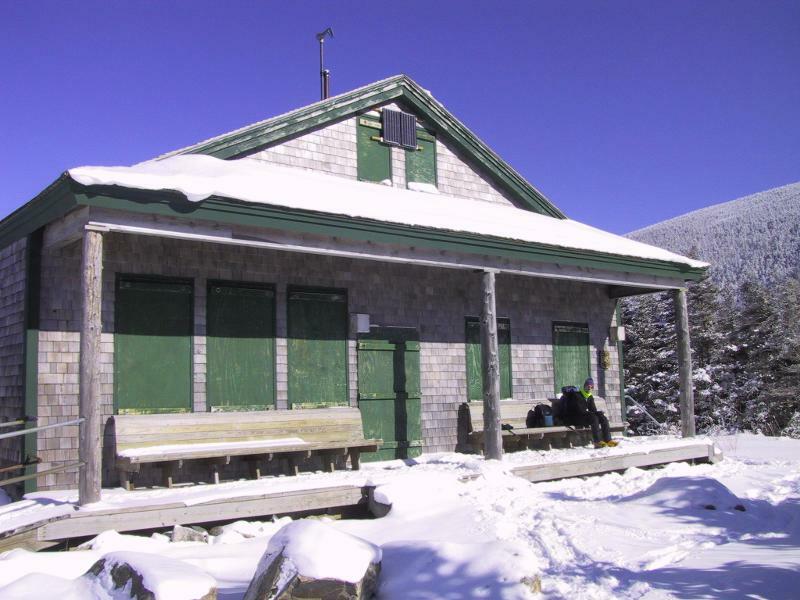 In winter the hut is closed however the front porch is a great place to take a break and enjoy the views of the nearby peaks such as Garfield, Galehead, South Twin, Guyot and deep into the Pemigewasset Wilderness. From Galehead Hut follow the Frost trail 0.5 miles to the viewless summit of Galehead. There are a few outlooks along the trail providing views to the north and east. The terminus of the Frost trail as well as a cairn mark the 4024 foot Galehead summit. Return to Galehead hut the way you came. Follow the Garfield Ridge Trail 3.0 miles west over several humps and bumps of Garfield ridge. The trail descends to the northwest leading to a col on the ridge and junction with the Galehead trail. Continuing along the Garfield Ridge trail will lead you up a steep slope to Garfield Ridge - East peak. The true summit (3590 Ft) is a very short bushwhack off the trail. 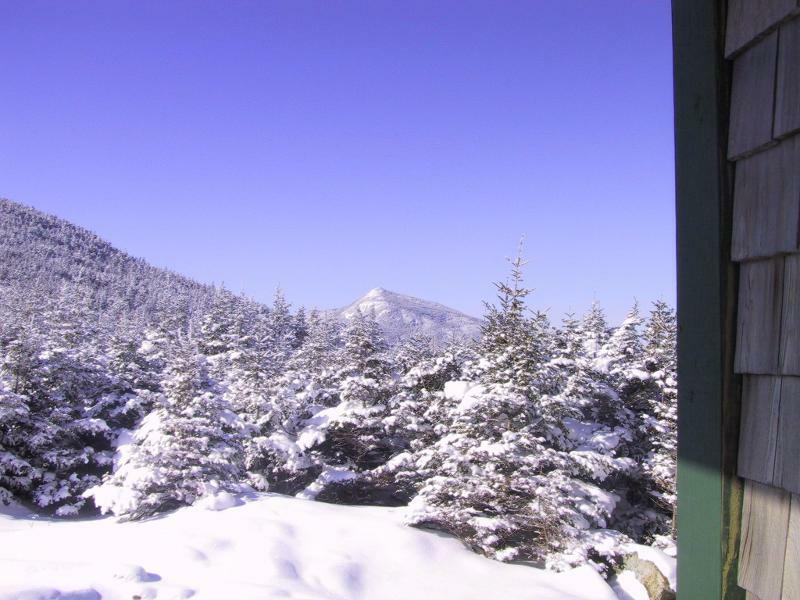 The 3rd ascent will bring you to a short bushwhack leading to 3667 foot Garfield Ridge - West peak. 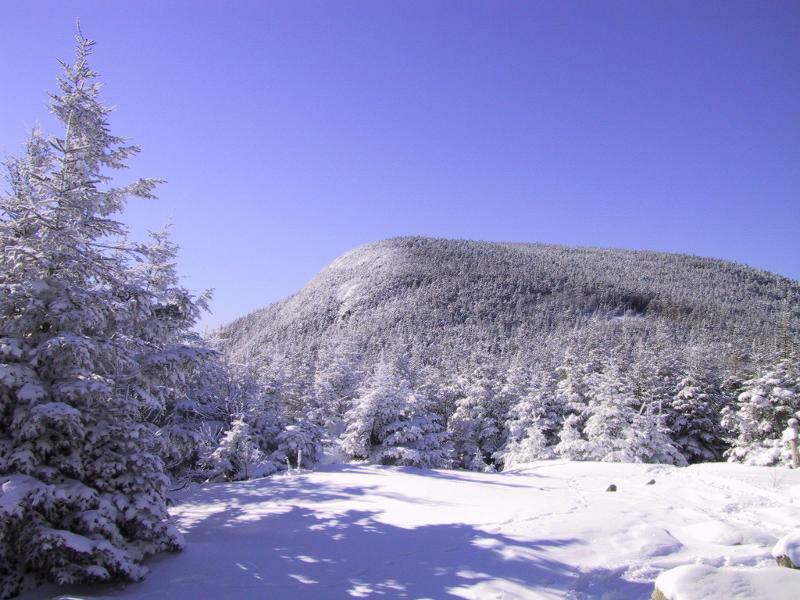 A short descent will lead you to a col and junction of the Franconia Brook trail. The Garfield Ridge trail ascends moderately, levels out then ascends steeply to the junction of the Garfield trail. The Mt. Garfield Trail is a short but steep pitch. The 4500 foot summit of Mt. Garfield contains the cement foundation of a long gone fire tower and offers excellent views. Descent the short and steep pitch back to the Garfield trail following it 5 miles to it's beginning at Gale River road. A 1.5 mile relatively flat road walk will lead you back to route 3 and the 5 corners intersection. This was by far my most arduous and intense winter hiking adventures climbing almost 18 miles, a total of 4 peaks above 4000 feet and walking for 10 hours. Prepare for a long and tiring day. 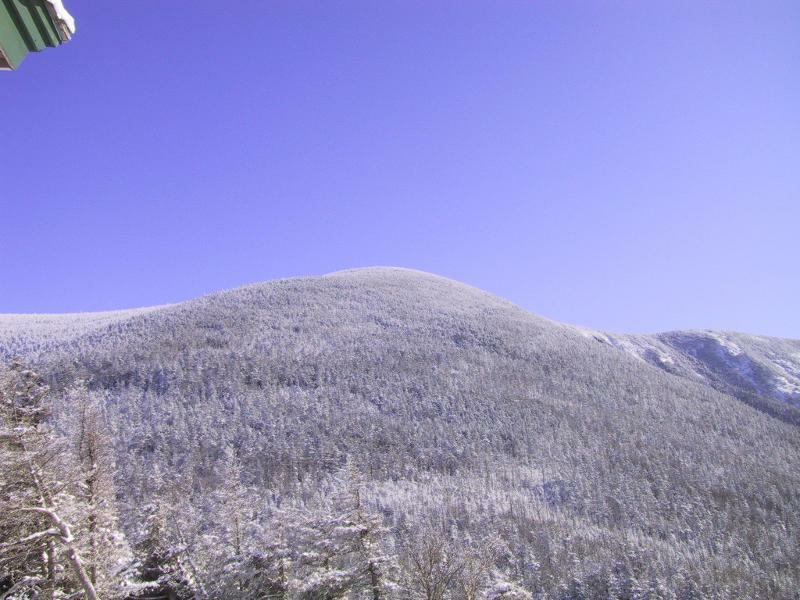 At 4761 feet and 4902 feet, North Twin mountain and South Twin Mountain are the 11th and 8th highest peaks in New Hampshire and typically a days journey alone. 4024 foot Mt. Galehead is a short side trip and Mt. Garfield's 4500 foot summit is worth a trip by itself. We started at the end of Little River Road in Twin Mountain shortly before 7 AM and took a 'shortcut' to the North Twin Trail where we broke trail through deeper and deeper snow eventually encountering 1-2 Ft drifts at higher elevations. Since this would be my first winter ascent of North Twin I volunteered to break trail through the deep snow. I followed the tracks of a fox eventually reaching the North Twin Summit shortly before 11 AM then continued South along the North Twin Spur trail through open woods and deep drifts. I struggled to find the trail in several places but managed the 1.2 miles to the South Twin summit without incident. Due to less than ideal conditions the pit stop was short. The rapid 1000 Ft descent in 1 mile is very steep leading to Galehead hut and approximately the 1/2 way point of the journey at noon. 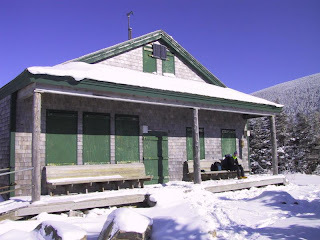 I left my pack on the porch bench then made the 0.5 mile ascent up the Frost Trail to the view less Galehead summit. I snapped a quick pic and returned to the hut and packs. I continued west along the Garfield Ridge Trail to the Gale River trail leaving the option to continue 3 miles to Mt Garfield (then descent 6 miles to the car) or directly descend 5 miles to the car. Consensus was continue the Garfield Ridge Trail to Mt. Garfield. The Garfield Ridge trail was used recently but it was filled with steep ups and steep downs that rapidly drained my fleeting energy. That 3 miles seemed to take forever but we finally made it to the summit of Garfield at 3:30 PM. Only 6 miles to the car (ugh!). Knowing the remaining 5 miles on the Garfield trail and 1 mile road walk were completely downhill completing the challenges of the hike we kicked up the turbo gear hiking 3 MPH reaching the car at 5:30 PM. What a day. 18 miles and 4 peaks of winter bliss.